1. Advise us via email of your intention to return your purchase. 2. Have your purchase packaged up in its original condition with your name and invoice or the invoice number. 3. Mail the package back to the shipping address detailed below under the section of "Frequently Asked Questions". 4. *** Keep a copy of the tracking number for the parcel you are returning. This helps us to follow up on the return of your package if necessary. 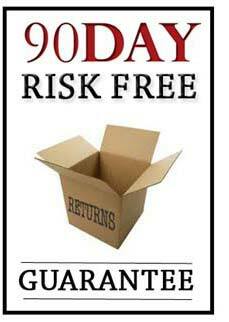 Once we receive and process your package, a refund in full will be issued. The only cost that you are responsible for will be the shipping. You can read more about our Satisfaction Guarantee. 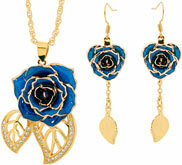 For your convenience, we also offer a Lifetime Warranty on our roses and jewellery. Please make us aware of the nature of the problem via email before sending the product back to us so we can resolve the issue with you. There are a few times that you may experience an issue which is not protected under our warranty policy. For example, our warranty does not cover tarnishing of the metal. It is normal for metals like silver to tarnish, and all that is required to restore the lustre is regular cleaning. In addition, our warranty does not cover products that have obviously been damaged due to mishandling. Lastly, any item which has suffered corrosion as the direct result of being exposed to an acidic-type chemical will not be covered under our warranty policy. If you prefer to have a product replaced after the 90 day satisfaction period has expired, and you are claiming under our five year warranty policy, we will make every effort to replace the product with the same product that you purchased. If that is not possible, we will replace it with a product that is as close to the original as possible. It is important to note that we have not had a product fail due to a fault in the manufacturing process during the warranty period. However, if you do experience any issues, we encourage you to contact us immediately. Can a product be exchanged for another colour? As long as it falls within the 90 day satisfaction guarantee period, the customer can exchange any product for any reason. However, a restocking cost may be applied if the product has been damaged by the customer. How is an item returned to the company? 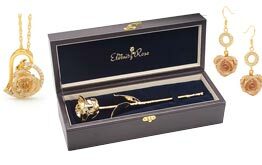 Simply send The Eternity Rose an email. In that email, let us know that you need to return an item and state your reason for such. Be sure to include information such as the invoice number and the purchase date. Again, we don’t reimburse customers for the cost of shipping, so the customer will have to cover the shipping cost on their own. What are the procedures to follow for an item that was damaged during transit? The most important thing to do is contact The Eternity Rose immediately. Take a photo of the damaged item and send the photograph to us in an email. You can then send the product back along with the original packaging. 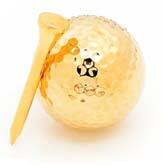 As soon as the item arrives at our end, a replacement or refund will be provided, depending on your wishes. Is the customer responsible for return shipping costs? The customer is responsible for all costs associated with return shipping. How long does the warranty claim take to process? The Eternity Rose makes every effort to process the claim the day that it is received. In some cases, it may be the next business day. However, there are some rare circumstances in which it may take longer to process a warranty claim. If the customer has any questions about the amount of time involved, simply contact us via email to enquire about the process. When a replacement product is sent to the customer, who is responsible for those shipping costs? 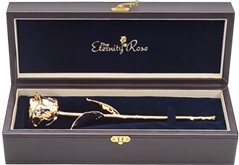 The Eternity Rose will pay full shipping costs associated with sending an item out to a customer. What happens if a product that is sent back due to change of mind is damaged in shipping? If the product is damaged in shipping, we recognise that it is not the customer's fault. 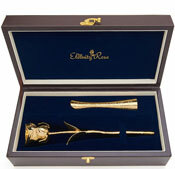 Therefore, The Eternity Rose will continue to provide a replacement or a refund, according to the customer’s wishes.